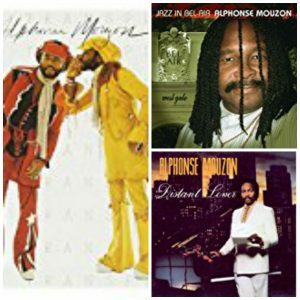 It is with great sadness we report that legendary jazz drummer Alphonse Mouzon passed away today after a recent battle with neuroendocrine carcinoma, a rare form of cancer. He was 68 years old. Mouzon, who was born in Charleston, South Carolina, was a charter member of the group Weather Report. Along with guitarist Larry Coryell, Mouzon was co-founder of ’70s fusion band The Eleventh House. Mouzon and Coryell still tour together in a trio and with the Eleventh House. He also played and/or recorded with Kenny G, Dave Koz, Richard Elliot, Lee Ritenour, David Benoit, Gerald Albright, Russ Freeman, George Howard, Kirk Whalum, Jeff Lorber, Gregg Karukas, Roy Ayers, George Benson, Herbie Hancock, Dizzy Gillespie, Stanley Clarke, Al DiMeola, Les McCann, Ronnie Laws, Jaco Pastorius, Joey DeFrancesco, Stanley Turrentine, Freddie Hubbard, Hubert Laws, Donald Bird, Chet Baker, Randy Brecker, Michael Brecker, Ernie Watts, Sonny Rollins, Arturo Sandoval, Christian McBride, John Klemmer, Billy Harper, Dave Grusin, ex-girlfriend Roberta Flack, Sheila E., Denise Williams, Freda Payne, and numerous others. In 1991, he performed with Miles Davis on the movie soundtrack Dingo. Mouzon’s rock-pop credentials include gigs with Stevie Wonder, Eric Clapton, Jeff Beck, Carlos Santana, Chubby Checker, Deep Purple and others. Mouzon’s GoFundMe campaign had raised $61,084 at the time of his death. For more information on Mouzon, visit http://www.tenaciousrecords.com. This entry was posted in Current Smooth Jazz News issue, Jazz Buzz, Uncategorized and tagged Alphonse Mouzon on December 26, 2016 by Melanie.